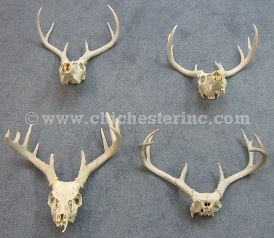 Bottom Row: #3 and #4 grade deer skulls. 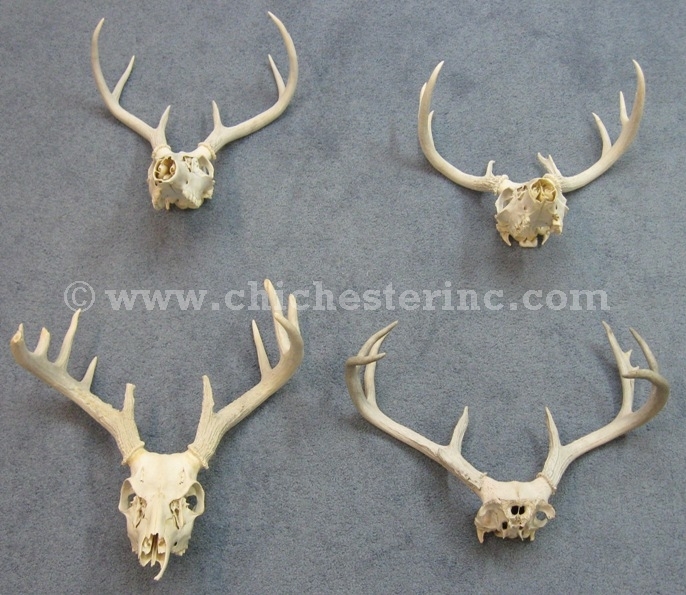 These are weathered South Texas white tail deer skulls. They have been cleaned. The skulls are missing the mandibles and have antler cores only. The #1 grade skulls are the nicest and generally have a nice skull and antler cores. The #2 grade skulls could be more discolored (i.e. yellowed) and not as nice. The #3 grade skulls have broken skulls and may have broken antlers. The #4 grade skulls are the lowest quality. Our Gxx codes denote individual pieces. If you would like to order a specific skull, please go to our Gallery to pick the exact one shown.